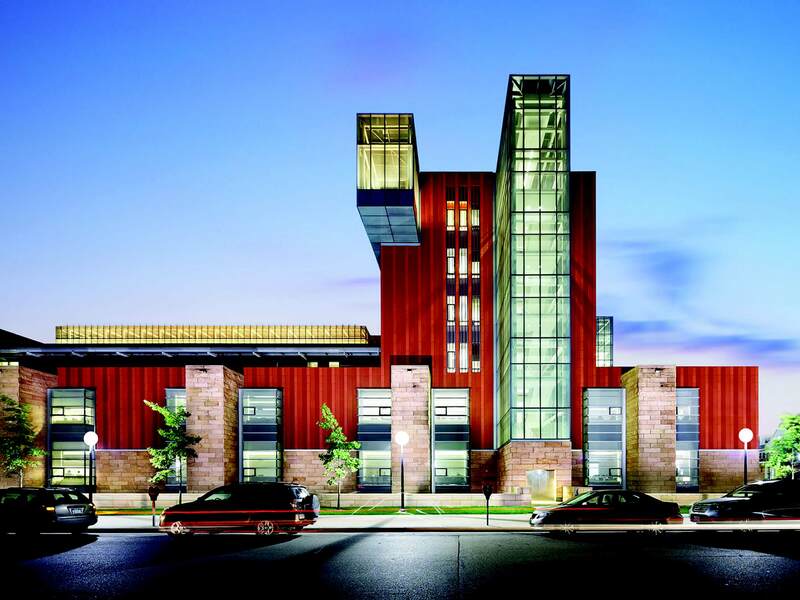 For the University of Michigan’s new Ross School of Business expansion, the Building Team employed terra-cotta panels, sandstone panels, and glass expanses to create a new entry sequence. Is moisture control the absolute for building design decisions? Ask users, owners, occupants, and investors—and expect a chorus of agreement. They’ll list moisture vapor, wind-driven rain, rooftop ponding, and material corrosion as just a few of the water-related concerns that add to maintenance, repair, and operations budgets and ultimately stand to devalue their properties. “Roughly 90% of all wall failures are the result of moisture-related issues,” says Keith Lolley, CSI, a Director of the Building Enclosure Moisture Management Institute (BEMMI) and Vice President, Advanced Building Products. Product improvements in cladding for barrier wall and rainscreen systems are critical elements of early phase decision making. As long as they work well, that is. In determining methods for achieving attractive, efficient, green, and economical envelopes, the first tradeoff project teams must confront is simplicity versus complexity. Some designs increase the number of components and unique details needed for controlling the ingress and egress of water, vapor, and air. The second factor is a fast-evolving array of cladding materials—metals and insulated metal sandwiches, composite panels, fiber cement, ceramic, and timber. Advances in installation and cladding material for rainscreen or barrier wall systems are providing new opportunities for builders and architects. They must look at the basics of enclosure systems: What system type is best for the building use, the climate zone, and the project goals?